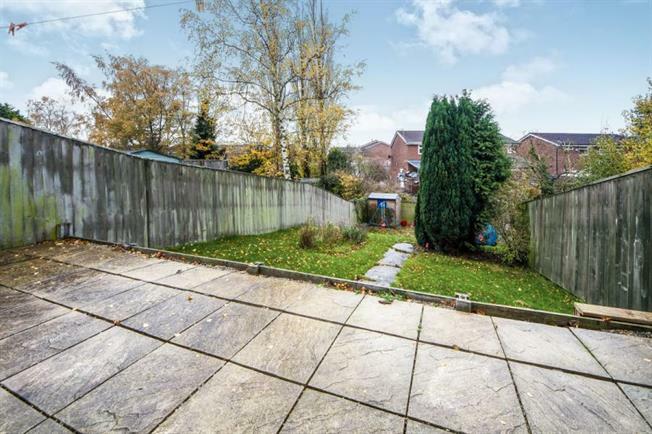 3 Bedroom Semi Detached House For Sale in Chorley for Offers Over £125,000. GREAT LOCATION FOR LOCAL SCHOOLS IN CLOSE PROXIMITY TO COPPULL PARISH SCHOOL AND A LARGE CONSERVATORY Offering great transport links this well presented property is perfect for first time buyers or growing families, briefly comprises of entrance hallway leading to the modern fitted kitchen. Accessed from the kitchen is the dining room which opens into the main lounge and the superb conservatory this provides access to the rear garden. the first floor consists of three bedrooms and white modern bathroom suite. Externally there is a driveway providing parking to the front and a rear enclosed good size garden. Upvc double glazed entrance door, radiator, laminate flooring and stairs leading to the first floor. Fitted with a range of modern wall and base units with contrasting worktop, integrated induction hob, oven and extractor hood, space for fridge and washing machine, sink and drainer with mixer tap, radiator, Upvc double glazed window and door into the dining room. Upvc double glazed doors to the conservatory, radiator, laminate flooring and double opening to the lounge. Upvc double glazed window, radiator, fire surround with wooden mantel and laminate affect flooring. Upvc double glazed windows and pitched roof, Upvc double glazed door to the rear garden and laminate affect flooring. Fitted with a white three piece modern suite consisting of panel bath with electric shower over, low level WC, pedestal wash hand basin, radiator, tiled flooring and to compliment and Upvc double glazed window. stone chipped driveway to the front to provide off road parking, the rear enclosed garden has a paved patio area and laid lawn area.